Vetulicolia is a new phylum only recently erected by Shu, et al. (2001), who posit that they were early deuterostomes. The body comprises of two main parts, a large anterior section with large mouth with a row of five oval features on each side that were interpreted as gills, and a posterior section with seven segments, with a constriction where the two main parts are joined (see Vetulicola drawing to left). 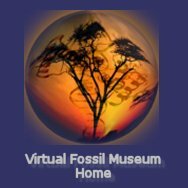 Shu (2003) later argued that vetulicolians are a likely early, stem group of primitive deuterostomes, and from this inferring that segments in cephalochordates and vertebrates may be derived from the common ancestor of protostomes and deuterostomes. They also suggested that Vetulicolians and Yunnanozoans may be closely related, since Yunnanozoans also have a bipartite body plan with a gill-bearing anterior and segmented posterior. More often, the Yunnanozoans are considered primitive Chordates, the Hemichordata, but are included here to emphasize the controversy. The worm-like genus Banffia is also included here as it resembles Vetulicolia in its bipartite body, as does the recently described Skeemella (Briggs et al., 2005). Both Banffia and Skeemella, however, have way more posterior segments and no apparent gill openings. 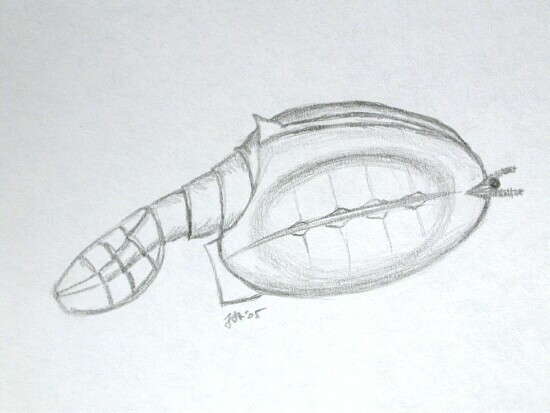 Briggs described Skeemella from the Middle Cambrian of Utah as having affinity to Vetulicolians as well having phyllocarid arthropods (see this Utah phyllocarid), which would preclude assignment of Vetulicolia to Deuterostomia. Others have argued for placement in of Vetucolians in Urochordata. At present, there is no agreement as to their systematic placement, and thus Vetulicolia thus remain problematic. Shu defined Phylum Vetulicolia to comprise family Didazoonidae with the genera Didazoon and Xidazoon, family Vetulicolidae with the genera Pomatrum and Vetulicola, and genus Banffia. Chen (2003) placed Yuyuanozoon magnificissimi in Vetulicolia. The Maotianshan shales known as Chengjiang ranks as one of the most important Lagerstätten fossil sites in the world, and the one with the most diverse faunal assemblage. The Chengjiang site is located in the Yunnan Province of China in the villages of Ercaicun and Chengjiang near the city of Kunming. 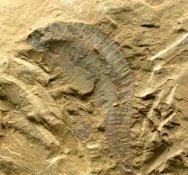 Some 50 meters of mudstone sediment are exposed, yielded many excellently preserved soft-bodied creatures of the Cambrian Explosion. Dated at 515 million years ago, it lies midway through Series 2 Epoch of the Cambrian Period..